Revolution Slider Error: Slider with alias intramurals not found. Intramural Sports are structured competitive and recreational sports and activities designed for all students, faculty and staff at Texas Southern University. The program features on campus team and individual competition in a variety of sports. All IM Sports offer men, women and co-rec divisions for each sport offered. 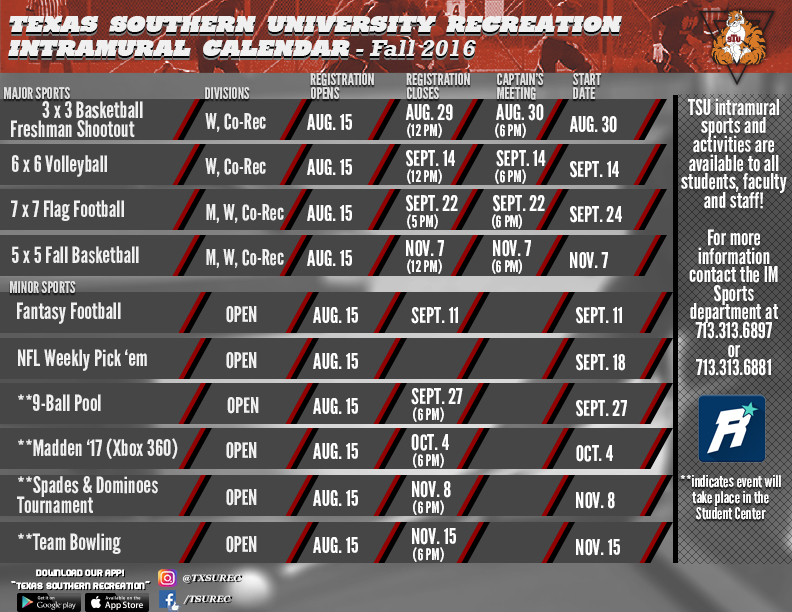 All TSU intramural participants must have an active IMLeagues account to participate in intramural activities. To register an IMLeagues account, please click here.